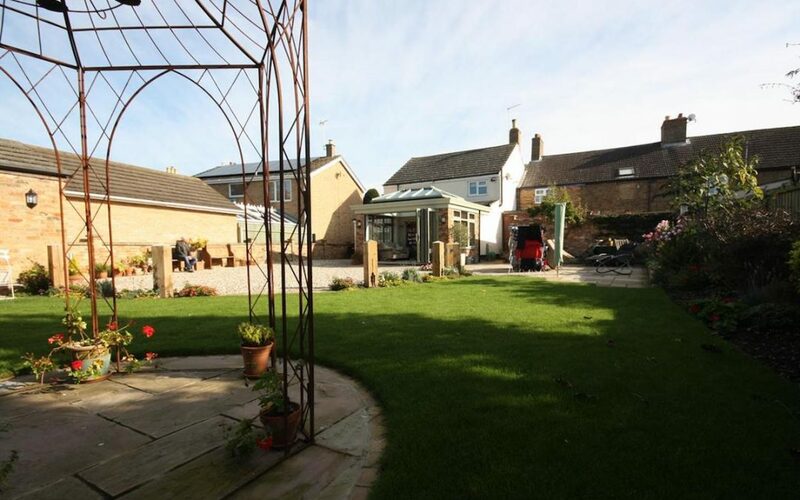 Connecting Cottages With A Doddington Orangery. When you own a collection of cottages that have been renovated to create one large home, and you want to add new living space to connect you to your large landscaped garden, the choice is obvious. But with a variety of existing finishes and eras sitting together harmoniously, how do you choose the materials and colours that will enhance the existing buildings? After a visit to the Cambridge Conservatory Centre, the owners fell in love with our display Orangery and decided they wanted one for themselves. However, they wanted a few changes. Our Orangery had cream profiles but the owners chose a soft green that worked beautifully with both the white painted brick and the old original brick of the old cottages. The brick chosen for the piers of the Doddington Orangery are a modern version of the original brick that will develop their own patina in time. A natural tile was laid to the floor and the colour picks up the colour of the original brick as well as the terracotta pots that are scattered around the patio which flows perfectly from the Orangery to the landscaped gravelled area beyond. 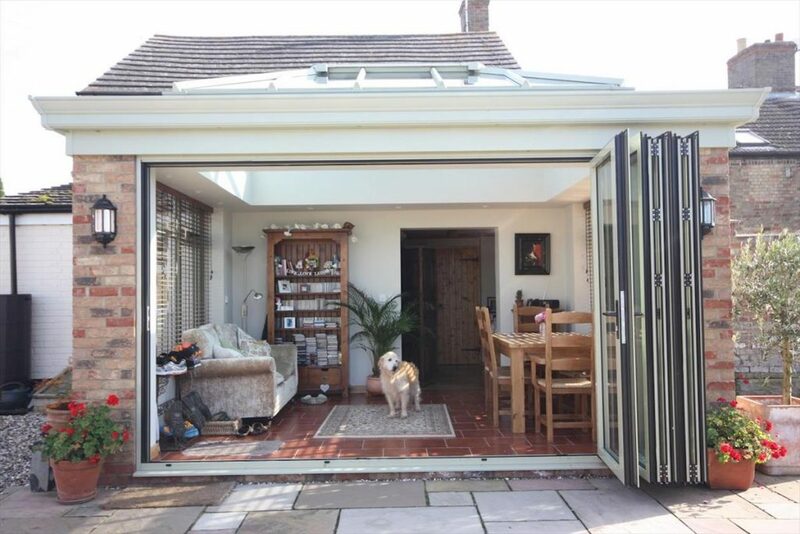 A set of five leaf folding doors opens the entire front of the Orangery to the garden blurring the lines from inside to out. 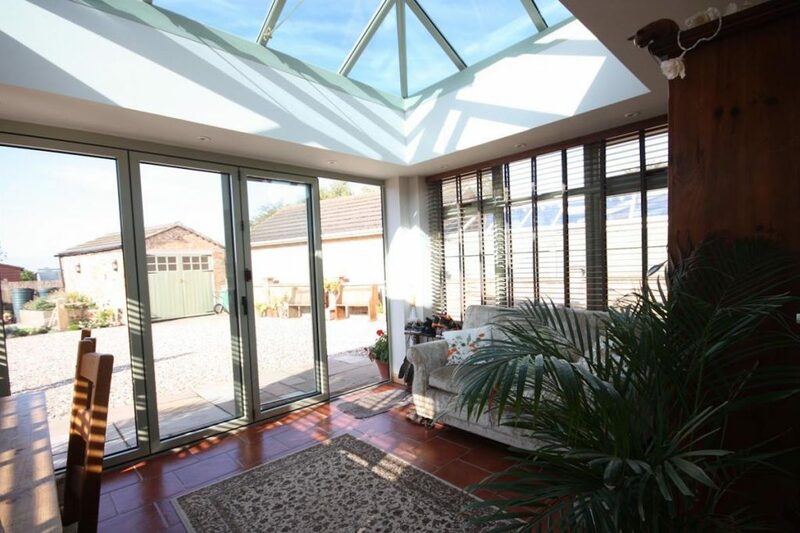 To either side of the Orangery, windows bring light and ventilation to this gorgeous space.